The Jungle Book has been an evident part of our childhood. After all, we have all grown up watching the Mowgli series and rooting out for our favorite characters. Though, over the last few years, the Jungle Book has certainly evolved a lot. The latest Mowgli movie is expected to hit the silver screen in October this year as well. Let’s get to know more about the upcoming movie and refresh our memory about the story of Mowgli. The Jungle Book is a book of short stories written by Rudyard Kipling. The book was originally published in 1894 and soon got a great reception from its audience. The main character in the book was Mowgli, a child raised by the wolves. He has been described as the “man-cub” in the book, living in the forests of India. The book also has plenty of other characters (animals) like Baloo, Shere Khan, Bagheera, etc. Since the book has a friendly theme, it got several renditions over time. These days, the tales from the Jungle Book are read to children as bedtime stories. Though, the original story was a bit dark and dealt with abandonment and nurturing. It was also a bit violent at a few places. Therefore, the Mowgli cartoon and the modern story altered it a bit. Over the last couple of years, there has been numerous adaptations and spin-offs related to the Jungle Book and Mowgli’s story. The award-winning book, The Graveyard Book, which was written by Neil Gaiman has been inspired by the Jungle Book as well. Both, DC Comics and Marvel Comics have also been inspired by it too. Marvel even came up with a dedicate series, The Jungle Book back in 2007. Besides books and comics, there have been tons of Mowgli cartoon series as well. The TV cartoons like Rikki-Tikki-Tavi and Mowgli’s Brothers are some of the most popular adaptations of the Jungle Book. Here’s a video of the Mowgli song from one of the cartoon series that we are sure will take you back in time. Back in 2016, Disney produced an epic fantasy drama based on the Jungle book and Mowgli’s story. It was a live-action CGI movie of Mowgli and how he got adopted by a pack of wolves. Mowgli was played by the young actor, Neel Sethi. Besides him, the movie featured the voices of actors like Bill Murray, Ben Kingsley, Lupita Nyong’o, Idris Elba, Scarlett Johansson, and Christopher Walken. Released in April 2016, the film became the 6 th highest grossing movie of that year. Both kids and adults enjoyed the movie as it was quite close to the original Mowgli Jungle book story. Shere Khan was the lead antagonist who threatened Mowgli and his friends. Besides voice casting, the movie was also appreciated for its music score and CGI. It even won an Academy Award for the best visual effects in a film. It seems like the audience is in love with the story of Mowgli as Warner Brothers is coming up with another Mowgli movie this year. While the movie is yet to be released, its trailer is already getting trending these days. It is believed that the Movie will be different from the original story. Now, Mowgli has been in touch with humans and is trying to juggle his priorities. As a threat comes to his forest, he goes back to his real family to save them. While we don’t know the exact story, the trailer certainly looks quite promising. The movie stars Rohan Chand, Matthew Rhys, and Freida Pinto as leads. It also features the voice of artists like Christian Bale, Cate Blanchett, Benedict Cumberbatch, and Naomie Harris as different animals. The movie is expected to be released on 19th October 2018. 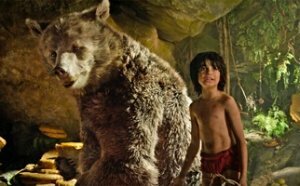 It is believed that the movie would be darker and serious than the past depictions of The Jungle Book. 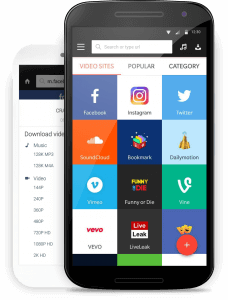 If you are tired of using different apps to look for the video of your choice, then you should certainly download Snaptube on your device. This freely available Android app has integrated a wide range of video sharing and hosting platforms in one place. Therefore, you can easily look for any video of your choice without switching between different apps. From Bollywood to Hollywood and regional content to international music, you will find all kinds of entertaining videos on Snaptube. You can also watch various movies like Mowgli and The Jungle Book on the app as well. All of this makes it a must-have Android app for every user out there.